This is the first of our ACAW Team Features, starting with SHoP Architects. Unlike some ACAW teams, which are formed with professionals from diverse industries, this team is comprised entirely of members from a single firm and advised by representatives from Boston Valley Terra Cotta. 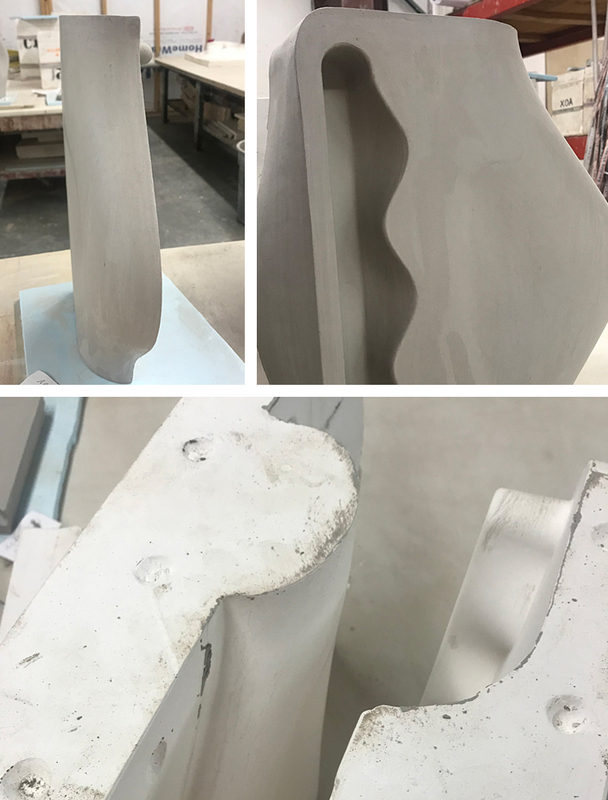 Led by team members Brad Goff and Berardo Matalucci, the SHoP Architects team is investigating ceramic as a roofing element in an effort to better understand the material in this application. Research has been conducted on the relationships between terra cotta and water to determine how the element is affected by manipulations of pattern, color, and texture. Through the design of the unit shape, profile and the development of the system the team is exploring additional functions of the roof tile assembly and its role in the definition of a variety of spatial configurations. A preview of SHoP Architects roof tile prototype in production.